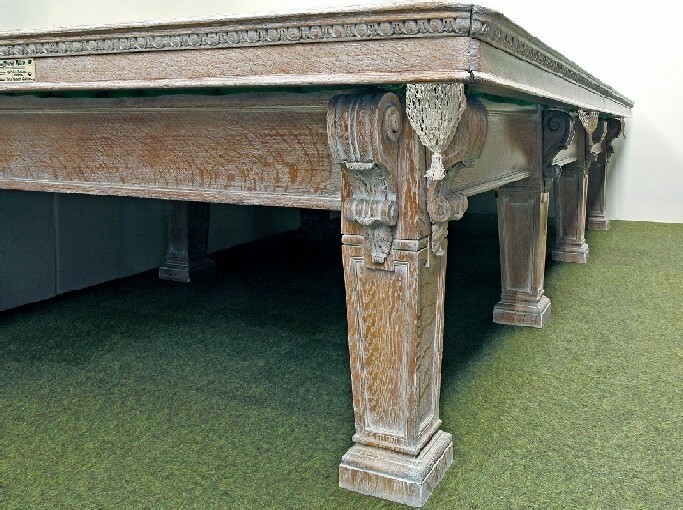 This is a wonderful example of a Full Size Billiard/Snooker table, built c1890 by the craftsmen at Burroughes & Watts in solid English Oak and with a lovely limed finish. 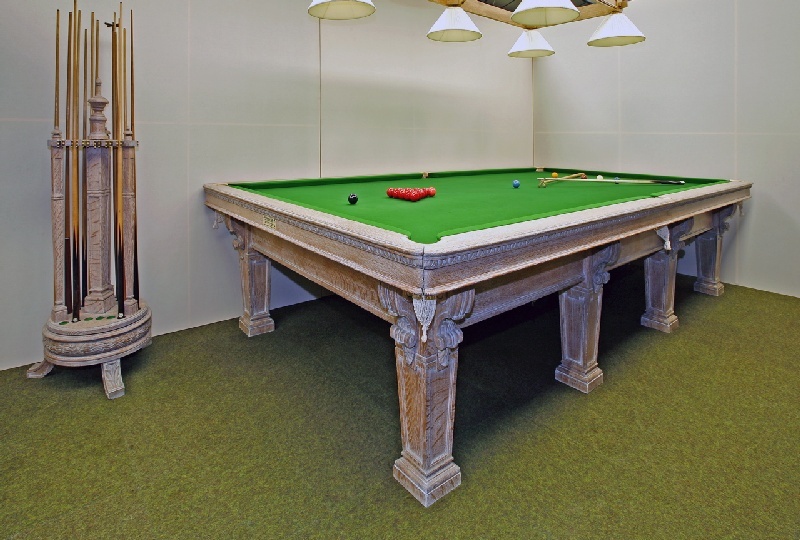 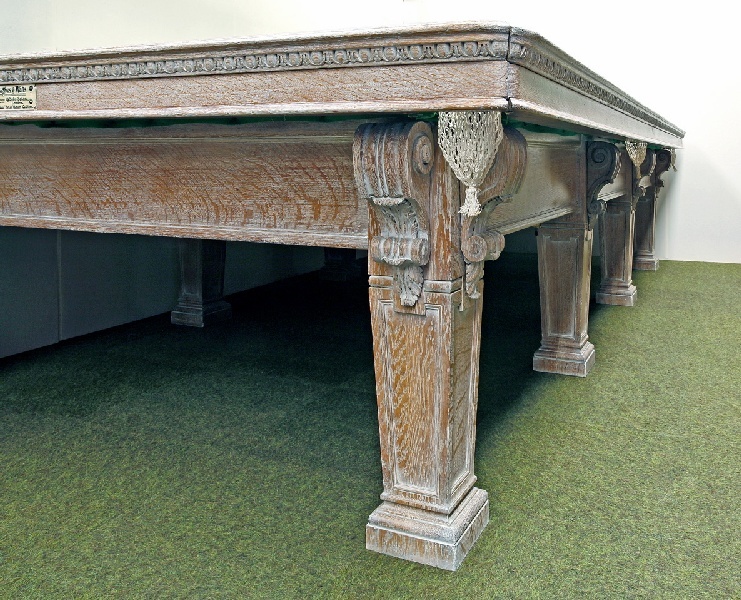 This table is extremely rare in that the cushions form a continuous line around the perimeter of the playing surface, and are fitted with their patented 'steel vacuum' cushions which are renowned world-wide, so that billiard tables of this calibre are truly some of the finest ever made and will never be equalled for the quality of the manufacture or the materials employed. 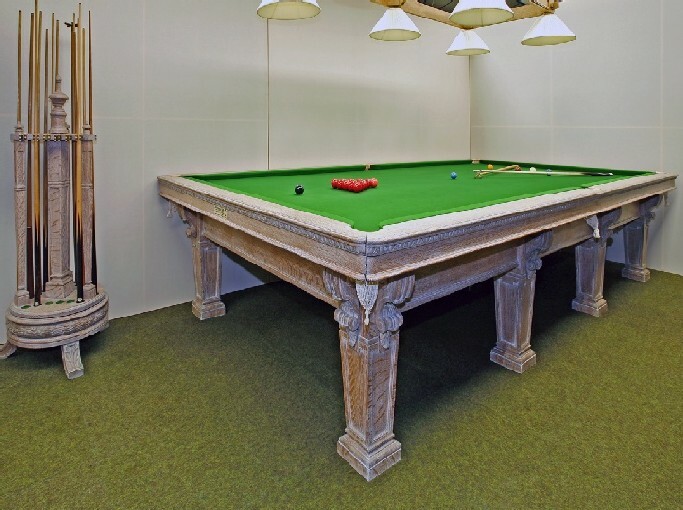 This table is complete with an equally wonderful matching cue stand and a small wall scoreboard originally set into panelling, and will be supplied with a full complement of other period accessories.